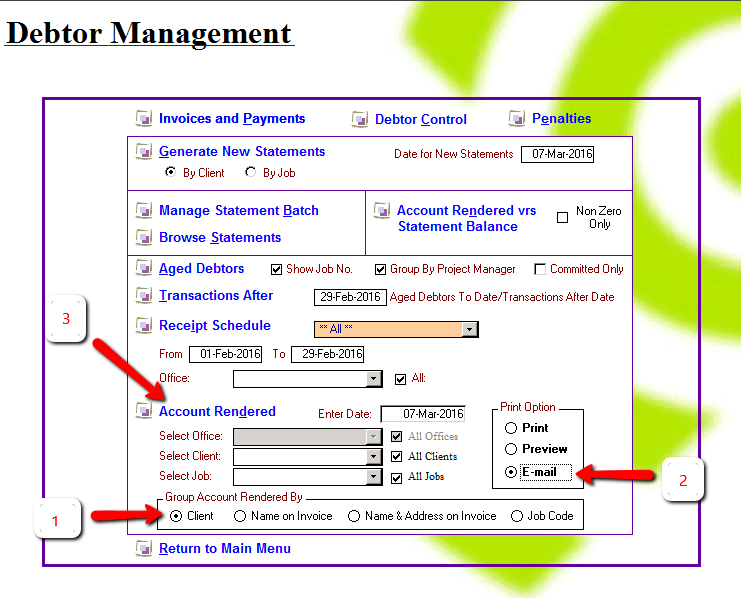 With the optional Abtrac5 Debtor Management module invoice payments and outstanding accounts can be managed independently from your accounting software. You can record invoice payments, account for write-offs and adjustments, print payment receipts, and report on your debtors from this add-on module. Statement or Account Rendered – which should you use? There are two outstanding account forms available to use in the Abtrac Debtor module, an Account Rendered or a Statement.